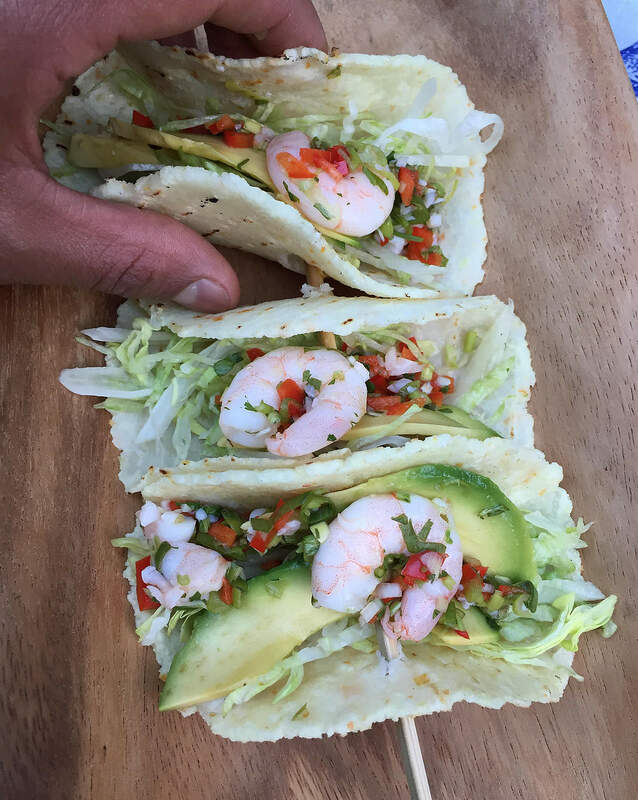 These recipes from Esteban Arboleda are ideal for when you want something quick, easy and tasty! Check out the recipes for classic dishes, side dishes, desserts and drinks. A very popular Colombian snack! You'll need 400g of grated feta cheese, 250g of Mogo flour (cassava flour), 60g of fine cornmeal or ready to cook polenta, 20g of sugar, 100ml of whole milk, 1 teaspoon of baking powder and 1 egg. Mix all the dry ingredients. Add the egg, then add the milk slowly until you obtain a soft mix. Divide the mixture into 12 equal parts and roll into balls. Place them onto a greased tray and bake in pre-heated oven at gas mark 5 for 20 minutes or until they look slightly brown at the top. 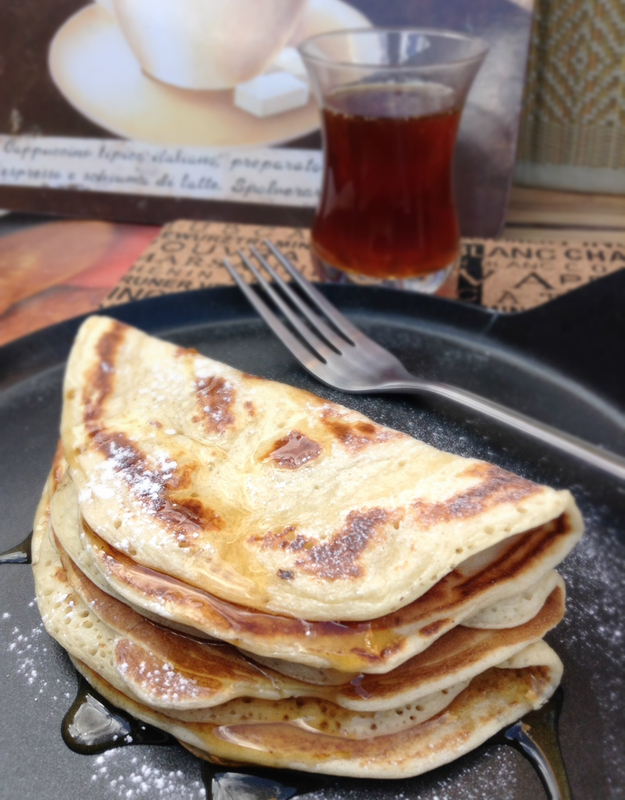 Enjoy them with café con leche! Wash 300gm of green lentils then soak overnight in water that covers them about 3cm. Peel and cut two medium carrots into big chunks. Add 200ml of water to a pot then place lentils, carrots and 2 bay leaves, cover and boil for 10 minutes at medium heat. Blend half of the lentils and the carrot chunks with another 200ml of water. 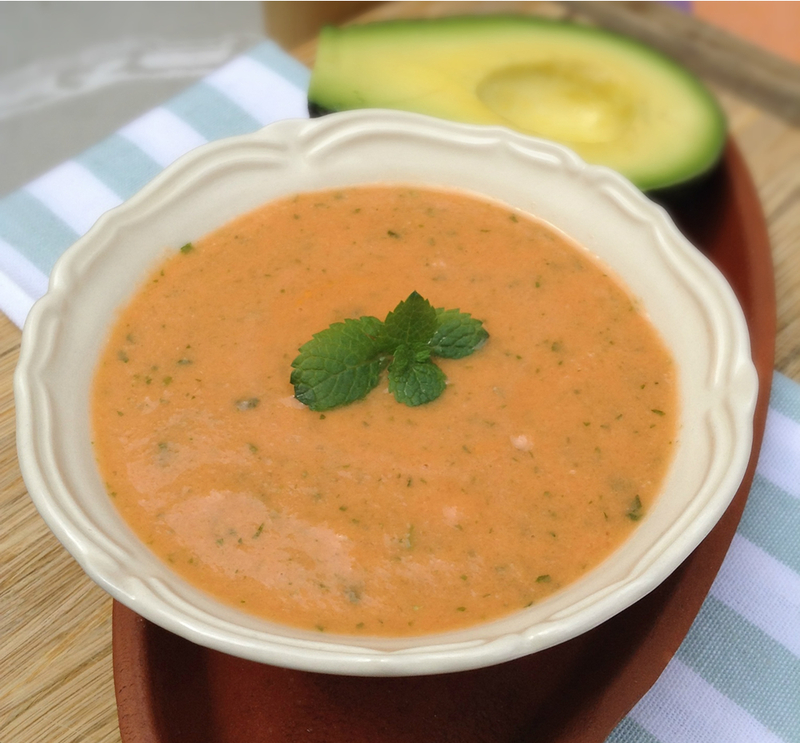 Place everything together and bring to boil with 4 tablespoons of homemade salsa, salt and pepper to your taste. 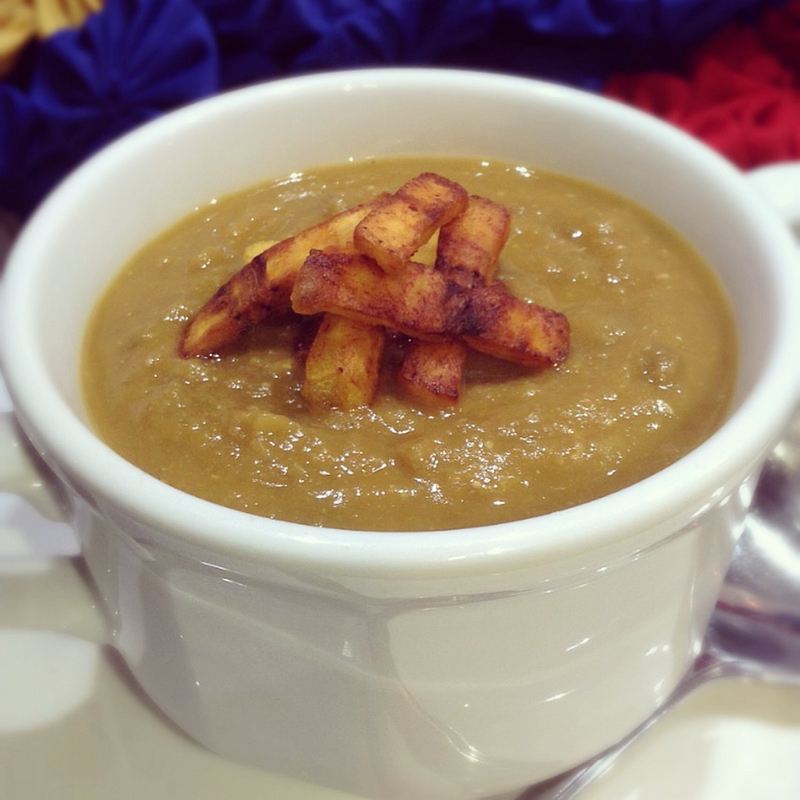 Serve with plantain chips. This should give you five or six portions. Most of us know how to make pancakes, but in my opinion the success lays in smothering them with a delicious syrup to add intense flavour. So I am giving you one of my mum's fantastic recipes! The ingredients are two mugs of cane sugar, one mug of water, the juice of one lemon, cinnamon bark and cloves. Put the sugar into a bowl, then add the water, the lemon juice and the spices. Allow the mixture to boil at low heat without mixing it. Let it cool down and cover your pancakes with this luscious syrup! 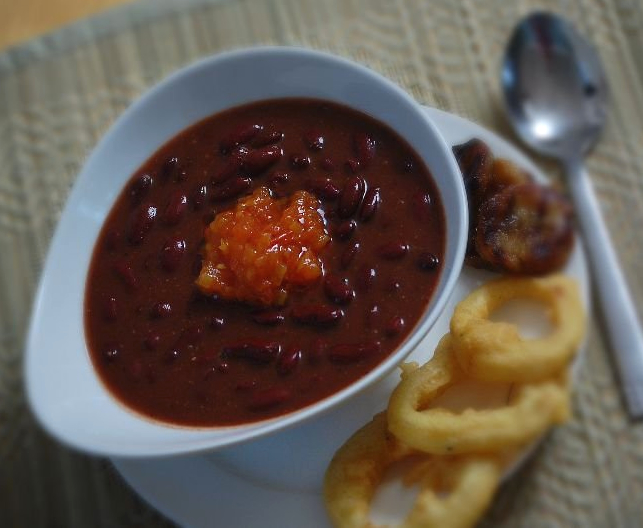 To get a decent red kidney bean soup with minimum preparation, you can use canned red kidney beans (otherwise the process will involve soaking beans overnight and having a pressure cooker). Drain the red kidney beans and keep the juice in a different container. Sauté some garlic paste and a handful of finely chopped onions, season with salt and pepper and add the water that you kept. Bring it to boil for about 5 minutes and add smoked paprika (or just paprika) and a decent amount of home-made salsa to thicken it. Finally, add the drained beans and boil for 5 minutes or more at low heat. Serve with beer-battered onion rings and plantain chips. Tip: add some fried bits of belly pork or bacon and the result will make you keep this recipe forever! This is a perfect all-day snack! In your liquidiser, mix sweetcorn with a bit of flour, 1 egg, baking powder and some milk if needed. 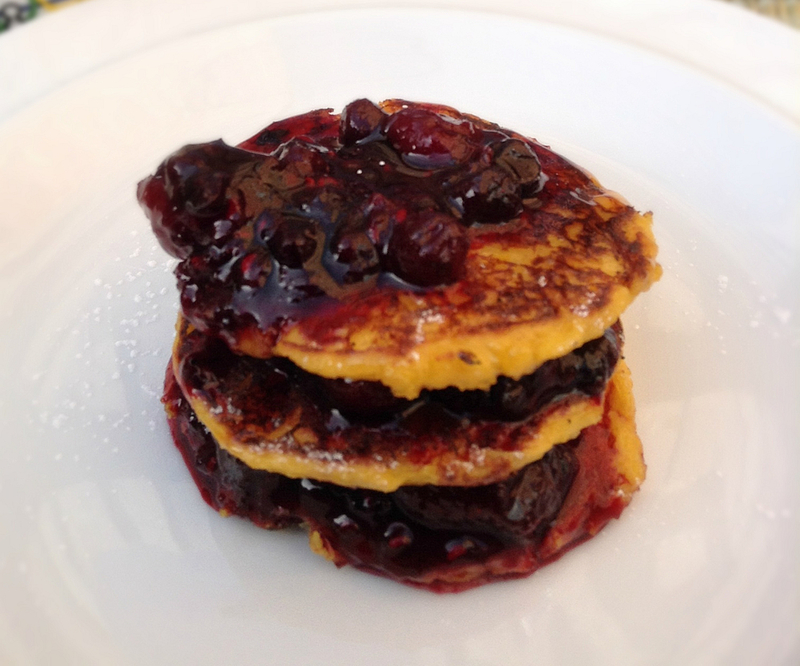 Make your pancakes in a hot pan with some oil and serve with homemade berry jam. For the jam: just put some frozen berries in a pan with a spoonful of sugar, but don’t add any water. Low heat until boiling, leave to settle and done! This is a Spanish recipe provided by a friend in Valencia. The ingredients for three portions are: 3 medium-ripe peeled vine tomatoes, 1 spoonful of balsamic vinegar, 1 fresh garlic clove, 3 spoonfuls of a good virgin olive oil, 3 spoonfuls of bread crumbs, 20gm coriander and chopped spring onions to serve. Mix the tomatoes using a blender, add the vinegar and the oil slowly while still blending, then add the breadcrumbs until obtaining a thick and almost velvety consistency. Finish by adding the coriander and the spring onions. Season with salt and pepper. Serve cold with grilled polenta or bread. Ideal for breakfast or brunch. Perfect for fussy kids! Ingredients: 285g drained sweetcorn, 40g gluten-free flour, 6 tbsp vegetable milk, 1/2 tsp baking powder and a pinch of salt. All in the food processor and make them like pancakes! To make the prawn ají you need 100g red sweet pepper, 35g spring onions, 20g fresh coriander, 1 garlic clove, 1 tsp salt, 1 tbs olive oil, a dash of fish sauce and hot sauce, 100ml water, 25ml rice vinegar and 150g responsibly sourced prawns (half chopped, half whole). Finely chop all the ingredients and mix with the rest! 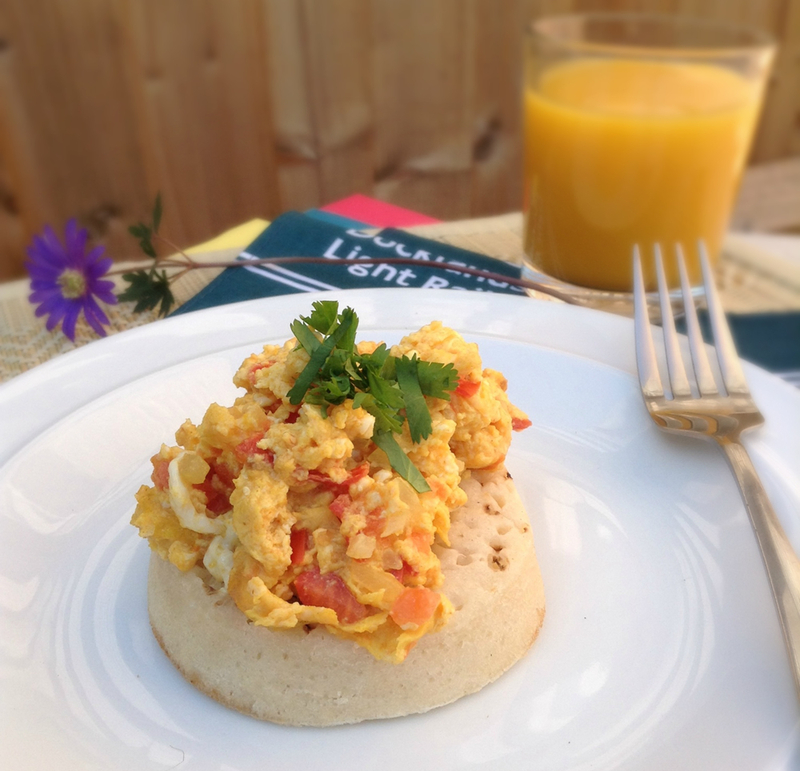 Serve on arepa telas (thinned arepas). 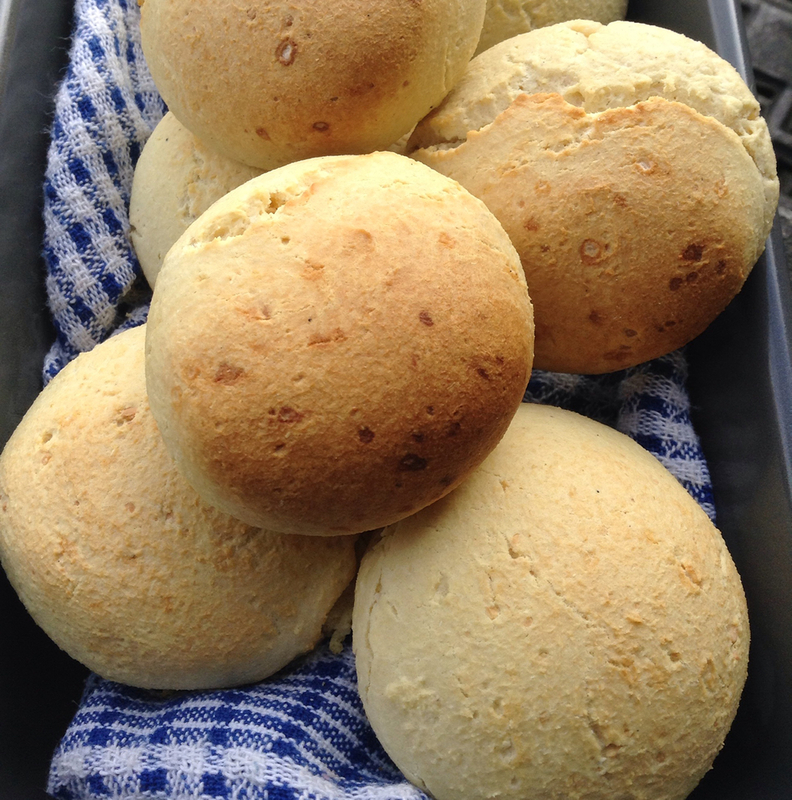 To make the taco-arepas, use precooked polenta or make your own masa (recipe coming up soon!). 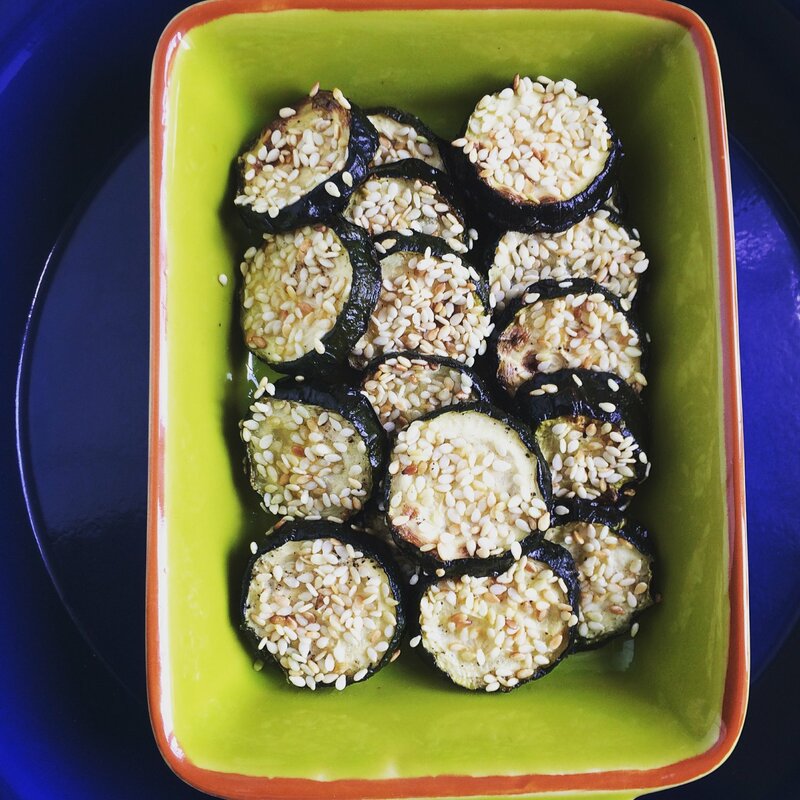 These thick-cut courgette slices with toasted sesame seeds are the perfect guilt-free snack! Slice the courgettes and smear them with rapeseed oil, salt, pepper and some toasted sesame seeds. Then into the oven at gas mark 5 for 12 minutes. 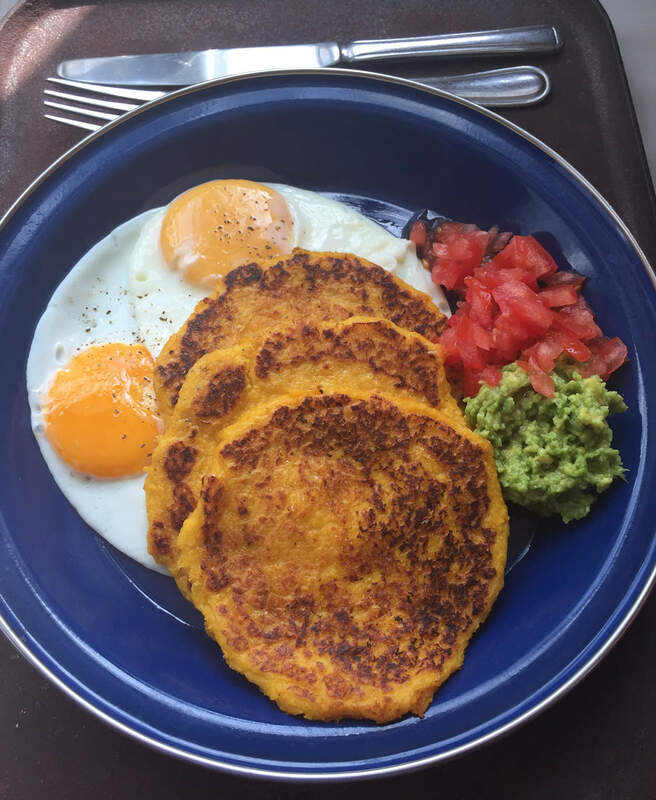 I make this when I really fancy beans on toast but can't forget my roots! 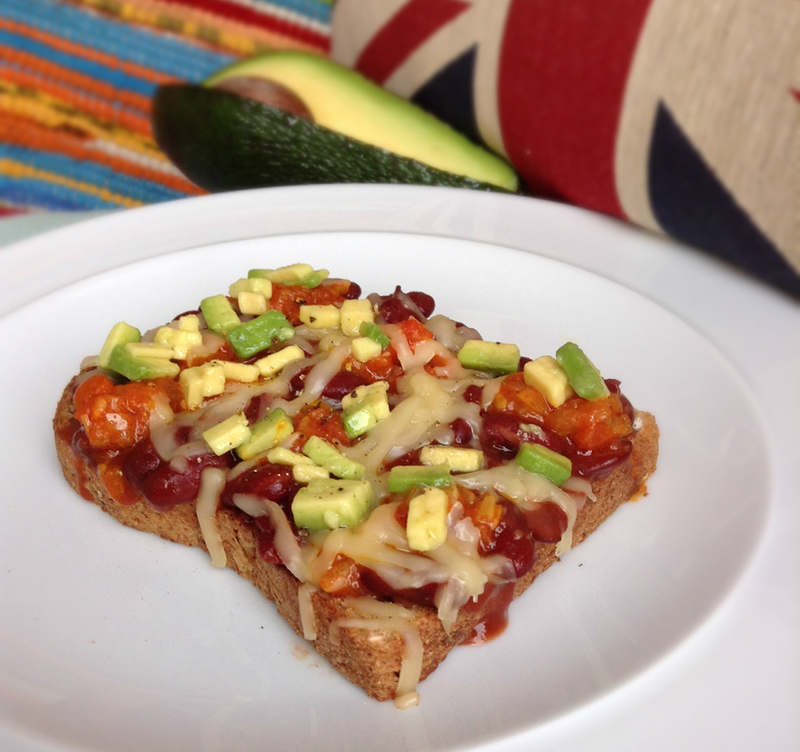 My choice of ingredients: good quality wholemeal bread, red kidney beans (thickened with salsa, smoked paprika, honey and tomato paste), grated Edam cheese, salsa and avocado, all grilled to perfection. After your first bite, you won’t want to share this! Dice and steam two medium carrots for about 2-3 minutes, add 1 mug of garden peas. Finely chop half a Spanish onion and add it to the vegetables. Mix this with about 300-350 grams of self-raising flour or chickpea flour. Add some milk and 2 teaspoons of baking powder to obtain a good mixture. Season with salt and pepper to your taste. Deep fry small handfuls of the mixture until crispy. Serve with home-made spiced syrup. 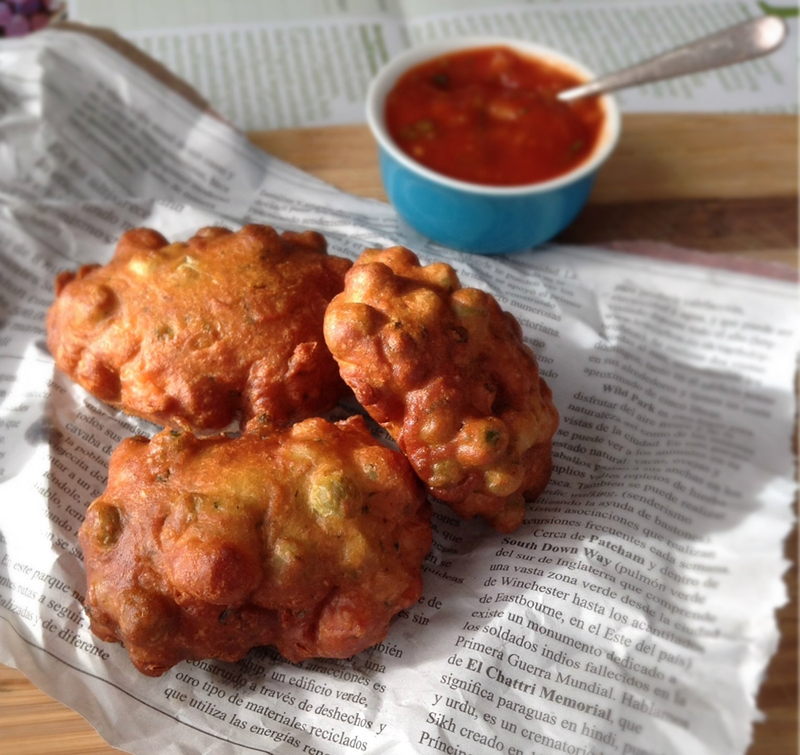 Tip: change the vegetables to vary the recipe or use these fritters as your packed lunch! The ingredients for one portion: 2 crumpets, half a diced small onion, 1 medium ripe tomato, 3 eggs, olive oil, salt and pepper. Start sautéing the onions in olive oil, then add diced tomatoes, salt and pepper to your taste and finally the eggs one by one. Mix for 2-3 minutes and serve on top of toasted crumpets, polenta cakes or pitta bread.